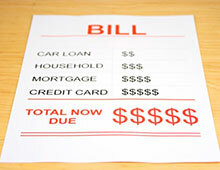 If you handle money, you may find yourself needing the advice of a bankruptcy attorney at some point in time. Despite recent changes in the bankruptcy laws, bankruptcy is still a viable option for many individuals seeking debt relief. If you are subject to aggressive collection agency action, facing foreclosure or otherwise overwhelmed with debt, you may be a candidate for bankruptcy filing. The consequences of filing bankruptcy can be far- reaching, the Law Office of Joanne Baitup, Inc. can help you evaluate your financial situation and determine the appropriate legal action for your individual financial circumstances. Attorney Joanne Baitup is experienced in both Chapter 7 and Chapter 13 having filed hundreds of cases over the past five years. 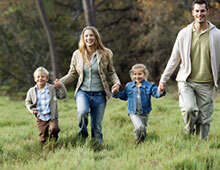 Family matters, which can be legally complex, are deeply personal and often emotionally charged. To make sound decisions about issues that have life-long ramifications, you need support and understanding, in addition to expert counsel and zealous representation. At the Law Office of Joanne Baitup, Inc., Attorney Joanne Baitup provides her clients astute legal advice in a compassionate, caring and professional manner that enables then to resolve difficult issues and move on with their lives. She provides experienced representation in divorce, paternity, child custody, child support and parenting time and pre-nuptial agreements. The elderly are among the most vulnerable in our society and elder abuse is becoming an increasing problem in society today. At the Law Office of Joanne Baitup, Inc. my goal is to protect the rights, dignity, safety, and financial resources of older citizens. If you suspect an elderly person in your family or your neighbor hood is being neglected, abused or a victim of fraud contact Attorney Joanne Baitup for a consultation. Most people would rather not think about what will happen when they die. However, the ones that do think about it leave much more asset value and far fewer complications for their heirs. Estate law involves more than just legalities and tax matters. At the Law Office of Joanne Baitup, Inc., she realizes how sensitive these issues are and Attorney Baitup provides caring confidential counsel for clients and their families. Attorney Baitup provides legal guidance in: estate planning, wills and trusts, probate, power of attorney, advance directives, charitable trusts and Medicaid planning.